At the same time the pressure on costs is also rising. So manufacturers face a twofold challenge: they have to meet specifications for cleanliness with the right technology – consistently and reliably – and they have to do so at an affordable cost. “This year’s parts2cleanoffers a wider range of solutions than ever before”, explains Olaf Daebler, Director ofparts2clean at Deutsche Messe. The 13thLeading International Trade Fair for Industrial Parts and Surface Cleaning from 9 to 11 June 2015 brings together over 250 exhibitors from 14 countries to present products and services for the end-to-end process chain at the Stuttgart Exhibition Centre. Their displays cover a total of 7,000 square meters of exhibition space, with a notable increase in display space booked by foreign exhibitors compared with previous years. These figuresindicate continuing growth forparts2cleanin 2015. “parts2clean 2015will be the biggest and most international event in the history of this trade show”, declares Daebler. “Many exhibitors use the show to unveil their latest new products and improved solutions for the very first time to an international audience.”One example is a new dry cleaning plant for the efficient intermediate cleaning of power train components in the automotive industry. The plant operates without compressed air and consequently delivers enormous cost savings combined with higher process reliability and availability. Also making its debut at this year’sparts2cleanis an innovativesystem that simultaneously deburrs components under high pressure and cleans them. And the first rod transducer for multi-frequency ultrasound will also be unveiled at the show. Designed for the 25 and 40 kHz frequencies commonly used for industrial parts cleaning,it provides a space-saving and cost-saving solution for installing multi-frequency ultrasound in single and multi-chamber cleaning plants. Innovations await visitors in other areas too, such as the automation of cleaning processes prior to the fully automatic measurement of components or solutions integrated into assembly lines.Various new developments in cleaning media will also be on show, such as a salt-free multi-metal cleaner that can be delivered at high pressure, producing a completely dry and fleck-free surface. New developments and refinements in cleaning baskets and workpiece holders make it possible to reduce process times, optimize results and cut costs. Not least because they are flexible in their application and minimize the number of times parts need to be handled or repositioned – thereby cutting costs and reducing the risk of damage. New devices for the monitoring and maintenance of cleaning baths contribute to more stable processes, especially when cleaning with water-based media. This year’sparts2clean will also showcase solutions for monitoring and documenting cleanliness at the particulate level which comply with the revised VDA 19 industry standard. And new devices and systems for detecting and measuring film residues can also be seen at the show. The bilingualparts2cleanIndustry Forum gives visitors access to one of the most popular and sought-after sources of expert knowledge on all aspects of the industrial cleaning of parts and surfaces. With a lineup of 25 presentations (in German or English, with simultaneous translation provided), the Forum program covers different aspects of industrial cleaning technology ranging from the basics to specialized topics such as cleaning media, care and maintenance of cleaning baths, conservation, passivation, corrosion protection, quality assurance andchecking for cleanliness. Admission to the Industry Forum is free of charge for visitors toparts2clean. 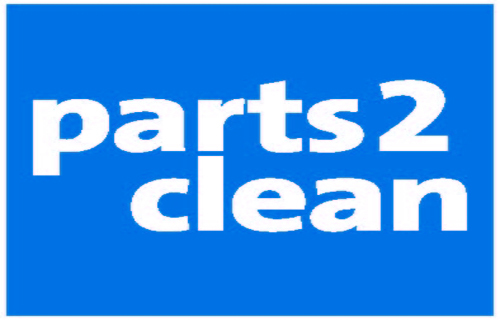 This year’sparts2clean is again offering guided tours for visitors, first introduced at the last show. Theseare ideal for visitors who need to locate exhibiting firms offering solutions to very specific cleaning problems or requirements. The next trade fairs on this theme scheduled to take place in Germany are O&S and parts2clean 2016, which run from 31 May to 2 June. The next overseas trade fairs aimed at the surface treatment industry are SurfaceTechnology INDIA, from 9 to 11 December 2015, SurfaceTreatment EURASIA, which runs from 11 to 14 February 2016, and Surface Technology NORTH AMERICA (staged in parallel withIMTS), from 12 to 17 September 2016.